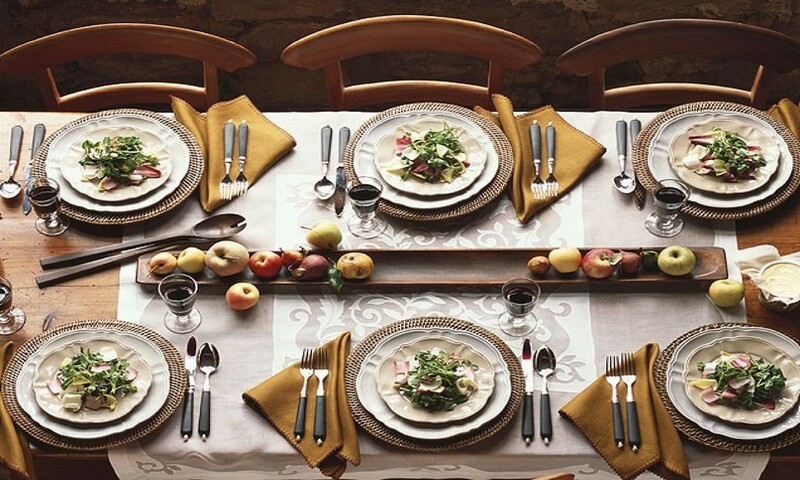 Setting the table is an art that is often ignored and overlooked. A good dinner table can make a wonderful impression on your guest and can add that bit of extra enjoyment to the meal to take it from a good one to a heavenly one. Many people underappreciate the art of a good dinner table, and the placement of different cutlery, plates and glassware can make the difference to the attractiveness of any table. Tableware, Silverware, Flatware and Glassware are what make up any table. It’s very important to know what each term is, so that one can correctly get what they need. Tableware is quite simply what is served on the table, and so includes Silverware, Flatware and Glassware. Silverware contains table items that are made of silver like cutlery, while Glassware mean glasses that are set up on tables. Flatware include metal cutlery, and plates made of metal. While there are many cultural and regional variations, there are some indisputable facts. Silverware should be placed in the middle. While the flatware should be arranged on the table in the following order. On the left should be the forks, and on the right, the knife spoons should be placed. The Dinner Fork should be on the immediate left of the plate, and if salad is being served, a salad fork should be placed to its left. On the right, we should have the dinner knife, and to its right, the dinner spoon, and then the dessert spoon. One important question that arises is the position of the glassware on a table. A glass should be on top of the spoons, and not near the edge of the table. Glasses should be within easy reach, so that the person who is eating can reach them easily while eating. However, some dinners are more formal than others. Particularly three course dinners. 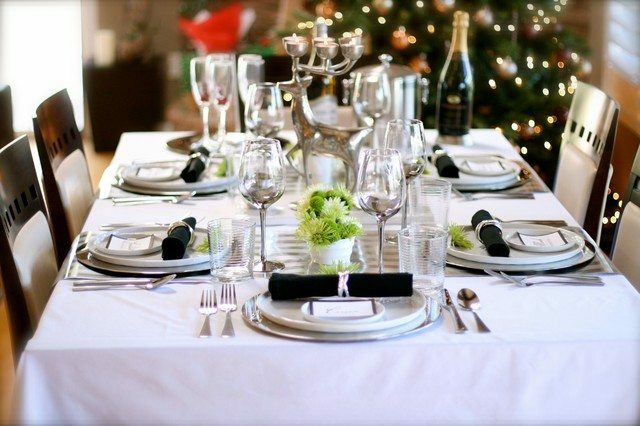 During these more formal dinners, not only will the quality of the tableware have to be different, but also the arrangement of everything, and the order in which they are set. In a dinner like this, you will need to add a decorative touch, and so flowers and candles are a good ornament to have right at the middle of the table. This adds a decorative touch to the meal, and also soothes those eating. 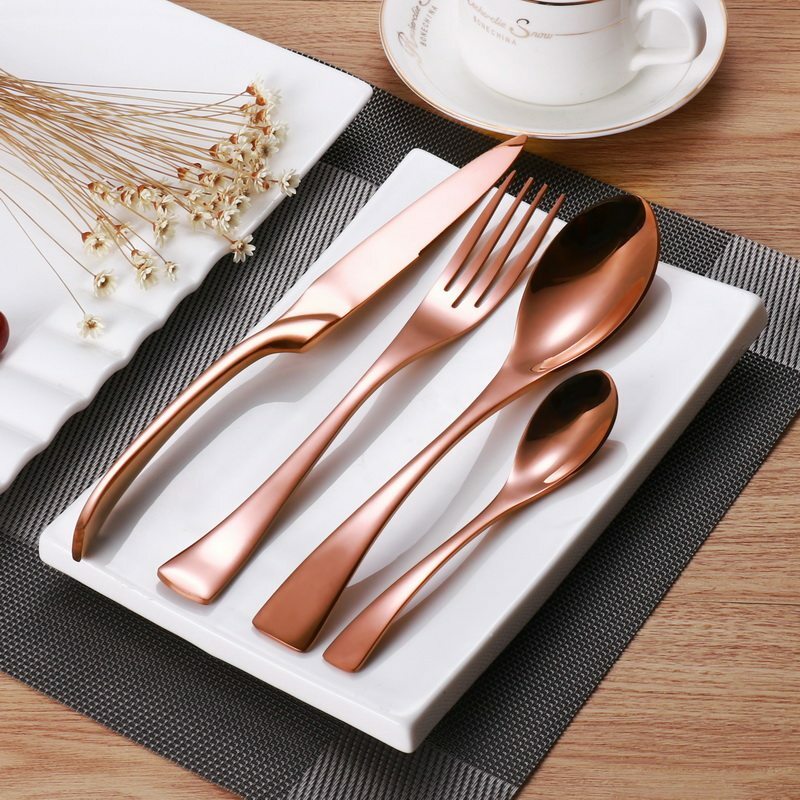 Also, another thing can help in this purpose, in the use of a Luxury rose gold flatware set, which is extremely attractive to keep around the table. This gleaming 18/10 stainless steel set will be a perfect match for your silverware, and will draw the eyes of your guests to your pristine table. These are well worth the investment because of how they will look next to the plate. Now with the cutlery, and glassware sorted, we move on to how the table is set, and why it is different for a more formal dinner. For a three-course meal then, the important thing is to set the table as the meals come in. The utensil that will be used to eat the meal that will be served last is placed next to the plate. That is, if one is planning on serving a salad, then a soup, and then a dinner meal, then a dinner fork and knife will be immediately next to the plate. A soup spoon will be next to the dinner spoon. Were dessert being served as well, the dessert spoon would be the one directly next to the dinner plate. So in this way our dinner table is set up with the utensils used to eat the meal conveniently placed, a formal dinner is thus made into a great affair, and we have a table setup that is both attractive and practical. This is how a table should be set at any major gathering. So in conclusion, in a formal gathering, setting up a table is important, and the order of the plates, the cutlery and the glassware make a huge difference. Don’t spare any expenses on the decorations and the cutlery, and make a meal a special occasion everyday.